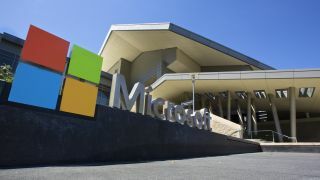 Microsoft has announced that it will expand its cloud services in Europe and the Middle East with the launch of new data centres. The tech giant plans to open its first data centres in Switzerland and the United Arab Emirates while also expanding its cloud offerings in Europe. Qatar's cabinet has also approved the establishment of a Microsoft global data centre in the country which will further boost its offerings in the Middle East. Microsoft's decision to bolster its already substantial cloud presence in Europe comes in response to growing customer demand in the region. The company plans to be the first global cloud operator to introduce cloud regions in Switzerland, specifically in Geneva and Zurich. Microsoft will also aid German businesses in their digital transformation efforts by offering Azure, Office 365 and Dynamics 365 from new data centre locations in addition to the options currently available in the country. The company's new cloud offering in Germany will complement existing options currently available in the country which include global services delivered from outside of Germany and the Microsoft Cloud Germany which is physically and logically separated from its global infrastructure and managed by a data trustee. Microsoft Azure and Microsoft 365 are also now generally available in France and new data centres in Paris and Marseille show the company's commitment to the region.